Wowie! And that's all I have to say about that. Of course I can't find this shoe in my freakishly small size, but the Jeffrey Campbell Christie bootie is available for the rest of you at Need Supply. I saw these at Lori's shoes in person and I have to be honest, I was kind of scared. But probably just because I wouldn't be able to pull them off. I posted about Need Supply today, too =) Gotta love it! Marissa. Seriously. This thing is a must. I'm going on the hunt for a 6. Prepare for my screams when they're all sold out. Carrie, find me a 5 or 5 1/2 while you're at it! Oh hello lovely! Gorgeous or what! I can totally understand why they're sold out! I just stumbled on your blog... adorable! My name is Marissa too, and it's spelt the same way :) Very rare! 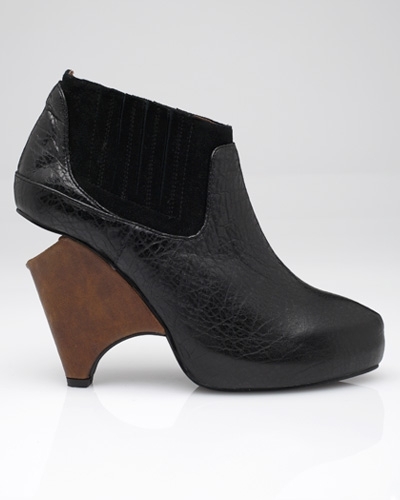 These J Campbell booties are simply lovely- I've seen them before and still love them just as much!